Our investigations at Yehud excavation were instigated in 2008 by plans to construct a large residential complex with an underground carpark at the site. 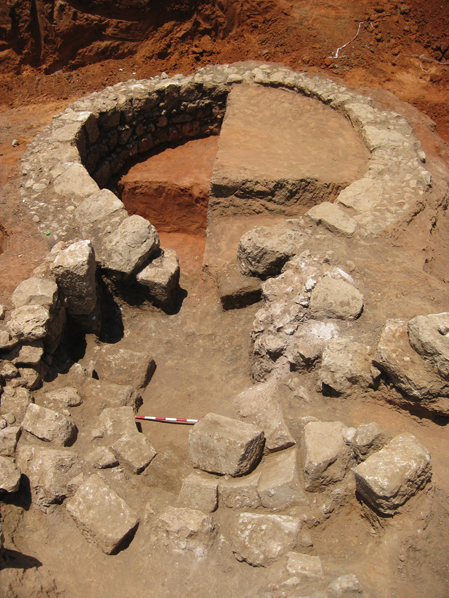 As foundations were being prepared, the Israel Antiquities Authority (IAA) inspector identified archaeological remains. 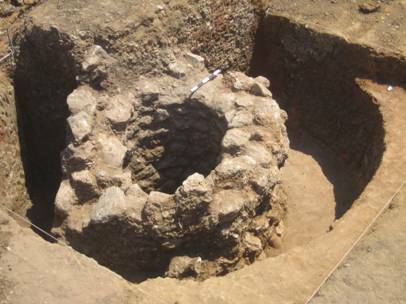 The IAA carried out test excavations, following which Y.G. 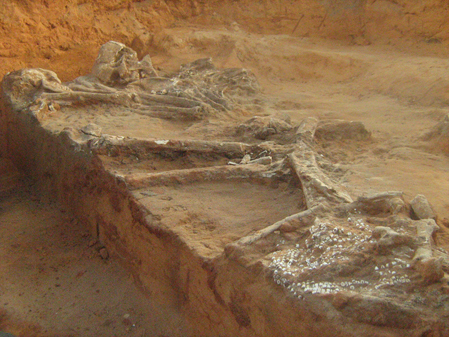 Contract Archaeology was contracted to investigate the site more extensively. In 2009 and 2012-2013 we excavated two further areas. This site is one of several located on the north bank of the Yehud drainage basin, that in turn flows into the Ayalon River. Nearby sites have been excavated by the Israel Antiquities Authority (e.g. Yehud, Bet Dagan). In the 2008 and 2009 seasons (link to full report below) we uncovered three archaeological horizons. The uppermost of these comprised Byzantine-period tombs (apparently of Christians). Below this was a 3-4m thick archaeologically sterile layer of dark heavy clay, under which we found a lower horizon of hamra soil in which were cut Intermediate and Middle Bronze Age tombs, and a series of deep shafts containing masses of Chalcolithic artifacts. It is not clear exactly what was the function of these Chalcolithic shafts. 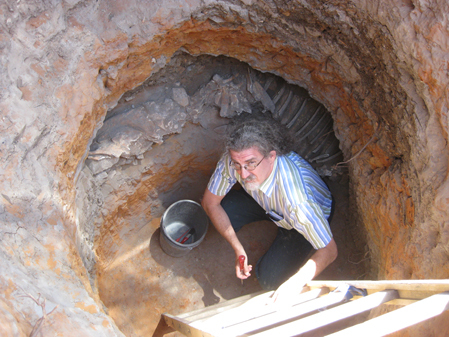 They may have been wells which were subsequently backfilled with occupational debris. However, many of the finds from the shafts appear to be of a ritual nature; these include hundreds of v-shaped bowls, many tens of fenestrated bowls, cornets, churns, stone palettes and a macehead. 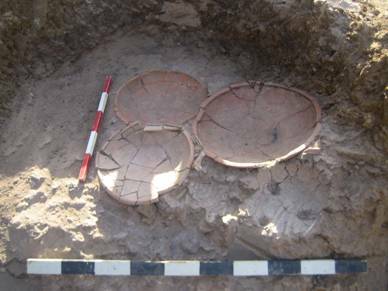 The dark clay layer that covers the Chalcolithic shaft openings represents the encroachment of swamps and the abandonment of this area in favor of higher, better-drained environments in the transition from the Chalcolithic to the Early Bronze Age.